Great Ormond Street Hospital allowed a Peter Pan film crew on its premises for the first time ever, in scenes to be shown on ITV on Boxing Day. The Camden hospital’s link to Peter Pan stretches back to 1929 when JM Barrie made a present of all rights to the story. This now means the hospital receives ongoing royalties from Peter Pan. Just before Christmas in 1929, the cast of a London production of Peter Pan played out the nursery scene for children at the hospital, cementing the long-standing relationship between the story and children at the hospital. 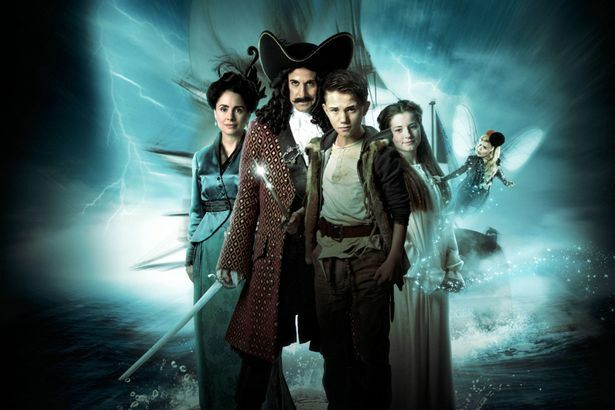 ITV’s new film adaptation, Peter & Wendy, brought together stars including Stanley Tucci and Laura Fraser. Even Paloma Faith joins in with a turn as Tinker Bell. In this film, 12-year-old Lucy Rose is about to be treated for her serious heart condition. The day before her operation, Lucy reads the novel Peter Pan to a crowd of sick children in the hospital. When she later falls asleep, Lucy dreams of a new twist on the story. So, the film cuts between Lucy’s real and fantasy lives. Outside the hospital, an ambulance pulls up, as Lucy and her mother leave a taxi and head inside. And there was further Camden filming in Senate House. FilmFixer manages the Camden Film Office. FilmFixer director Karen Everett says, “We were so happy to help with this special festive season production of Peter & Wendy. Paloma Faith has said, “I had experiences as a child going to Great Ormond Street for some minor things. It was quite astonishing to see how much they do and see the other children that were there. To support Great Ormond Street Hospital’s work go to www.gosh.org.